Deliciously chewy organic white mulberries lightly dipped in tasty raw chocolate. They have a mouth-watering, toffee caramel flavour and are super moreish so you have been warned! The factory is solar and wind powered, so all their chocolate is made with zero carbon emissions. mulberries 40%, cacao butter, lucuma, coconut sugar, cacao powder, vanilla. 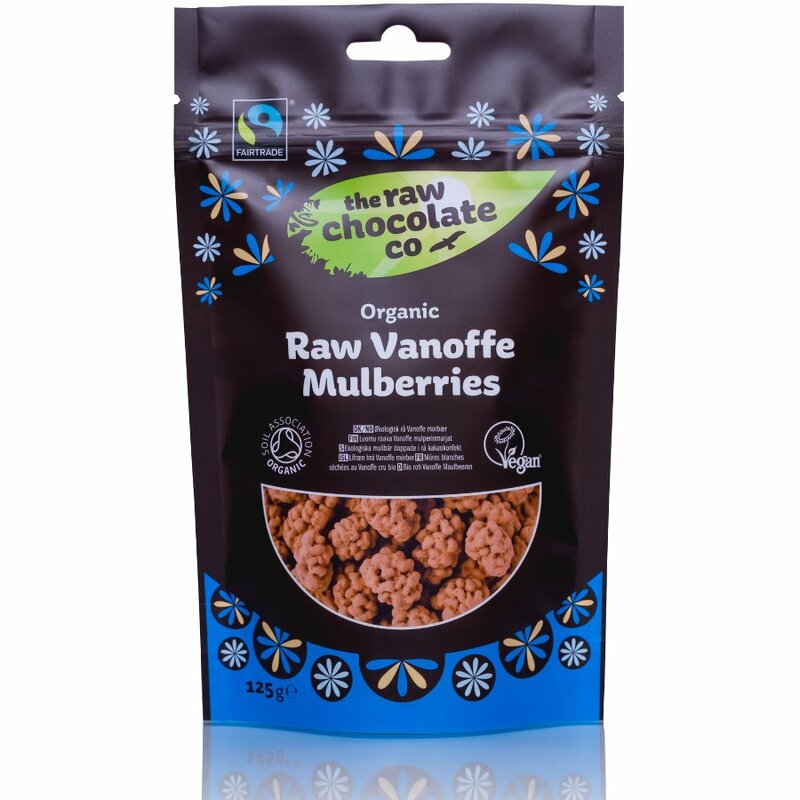 The The Raw Chocolate Co Vanoffe Covered Mulberries - 125g product ethics are indicated below. To learn more about these product ethics and to see related products, follow the links below. 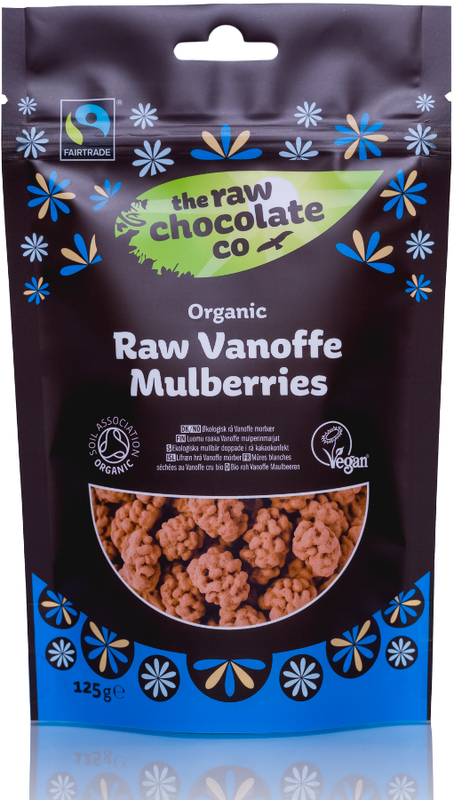 There are currently no questions to display about The Raw Chocolate Co Vanoffe Covered Mulberries - 125g.